Out of the Fog is a magazine that airs on the Friday Morning After show every 1st Friday of the month. The magazine looks at adoption from a critical perspective. 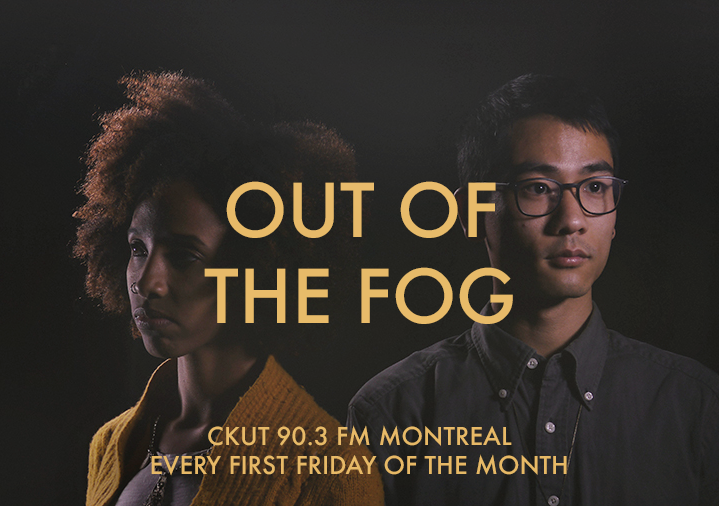 Out of the Fog is a collaboration between radio CKUT 90.3 and the Ethiopian Adoptees of the Diaspora. The magazine is produced and co-hosted by writer and co-founder of Ethiopian Adoptees of the Diaspora, Kassaye MacDonald, and filmmaker, Pascal Huỳnh. The magazine is also available on iTunes, Podbean and Stitcher.